I am usually the first of the haters to criticize Christian Bale, as I never really thought much of him, but sometimes it just takes one performance to start to sway your mind in the other direction. Rarely do you see an actor cast in a role, that is absolutely perfect for them, but the lead role of Russell Baze fits Christian Bale like a glove. I have never seen Bale fit more easily into a role or take charge of a story the way he does here. Russell is an ex-con and the shame of his family. As Russell rots away in jail, his little brother, Rodney (Casey Affleck), has to take care of his ailing father, and try to keep Russell's wife from leaving him. When Russell finally gets out of jail, Rodney, an amateur fighter, finally gets the chance to leave the rust belt and earn some real money. Rodney appears on his way to doing just that, when he disappears in a notoriously brutal part of the mountains, leaving his brother alone to try and do the right thing. 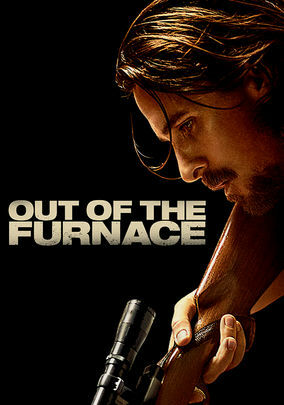 Along the lines of Winter's Bone, Joe, & Mud, Out of The Furnace is another dark, rural thrillers, that is all the rage in Hollywood these days, and while there are a lot of wannabes and copy-cats, when someone figures out the correct formula you end up with a gem like this. The writing here is Oscar worthy and the character development is everything I crave in a film. Out of The Furnace is under two hours long, but when it's done, I feel as though I know the characters in the same was as if I'd just watched 100 episodes of some TV show. I felt their emotions, I was empathetic to their situations, and I was on the edge of my seating waiting to see what would happen next. These are all marks of a great film, and while I don't really care for Christian Bale, he really has never been better.